Gutter Helmet of Eastern Shore is a locally owned and operated company located in Salisbury, MD serving the entire Delmarva Peninsula. The company is owned and operated by Eastern Shore native Kevin Presto and has been installing quality gutter protection products and seamless gutters in Salisbury, Ocean Pines, Dover, Easton and the surrounding areas for over 10 years. 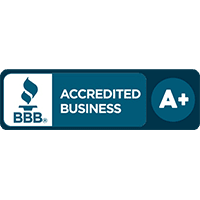 We are fully licensed and insured in all three states and have an A+ rating with the Better Business Bureau. 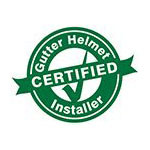 All our work is done by certified installers employed by Gutter Helmet of Eastern Shore—we do not use untrained subcontractors. We’re serious about providing complete year-round gutter protection so we won’t entrust your home to just anyone. We take great pride in our work and our growing list of satisfied customers can attest to the quality of our results. Gutter Helmet has been America’s #1 choice in gutter protection for more than 30 years. It is designed to fit directly over existing gutters and is compatible with a range of gutter styles. Once it’s on, you’ll never have to worry about cleaning your gutters again! Gutter Helmet’s patented nose-forward design keeps leaves, twigs, and other clog-causing debris out so your gutters can function as intended, directing water away from your home and into your drainage system. For a free, no-obligation quote on our gutter protection products and services, give us a call at (866) 333-8150 or fill out our online form to schedule an in-home consultation.